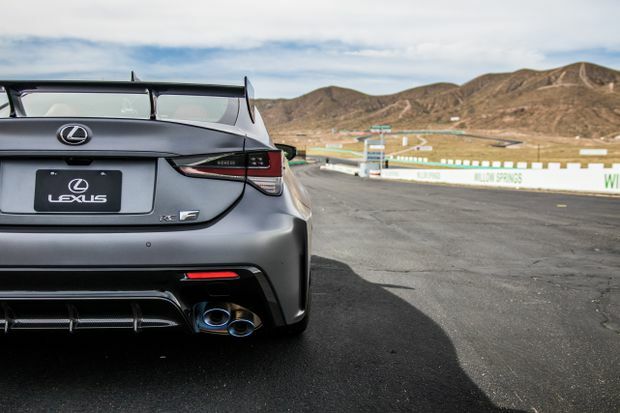 The 2020 Lexus RC-F Track Edition is a sharper variant of an already surprisingly good car. This is not a car for accountants. The numbers simply don’t make sense. 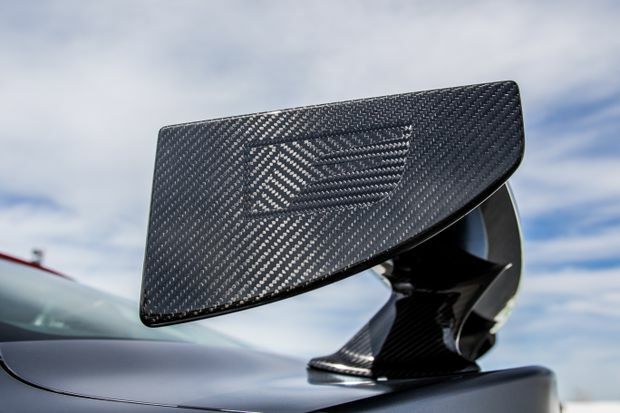 At $119,950, the RC-F Track Edition is more expensive than most of its competition; its tires are the same width as the normal RC-F; the naturally-aspirated engine produces less torque than turbocharged rivals – 20 per cent less than a C63 AMG; and despite wearing more carbon-fibre jewellery than a Fast & Furious extra, it still weighs a hefty 1,715 kg. Despite the wings and the carbon-fibre hood, this machine is clearly built only for Lexus fans. Or perhaps, judging by the front end, waffle-maker enthusiasts. But toss those spreadsheets out the window, fellow specifications nerds. Hardly anyone is going to buy this car, but every single one of them is going to get an eight-cylinder haiku penned to the joy of driving. First, let's take a red pen to the Track package's considerable $34,950 premium over the base RC-F. Immediately you can knock $11,000 off the bill, as that's what you'd pay for the optional performance package you want anyway. Next, draw a circle around the words “carbon ceramic brakes.” Other brands charge upwards of $10,000 for these as an option. Suddenly, the Track Edition starts looking like, if not exactly a bargain, then at least less of an irrational extravagance. For one-of-ten levels of exclusivity, you could do worse. For a driving experience, you’d be hard-pressed to do better. There are of course faster options – the last time I was on this racetrack was with the Camaro ZL1, which was easily 20-30 km/h faster down the front straight – but not many to match the RC-F’s poise and polish. Credit first goes to the jewel-like V-8, which revs as though a team of Japanese swordsmiths have spent months hammering out every impurity. Like the rest of the car, it feels forge-strong and mirror-smooth. The Track Edition boasts unflappable carbon ceramic brakes. The next accolades must go to Lexus’s team of engineers, who have honed the RC-F with an exacting precision. 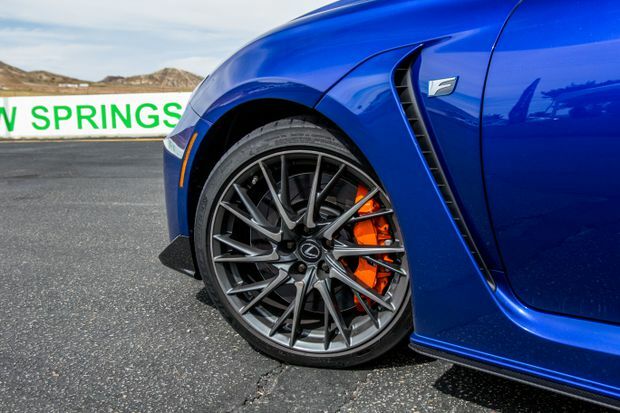 While the weight savings totals only 65 kg versus the normal 2020 RC-F, the Track Edition sheds unsprung weight thanks to those ceramic brakes and lightweight 19-inch wheels. To give an idea of how effective reducing unsprung weight is, imagine trying to run a race in steel-toe workboots. 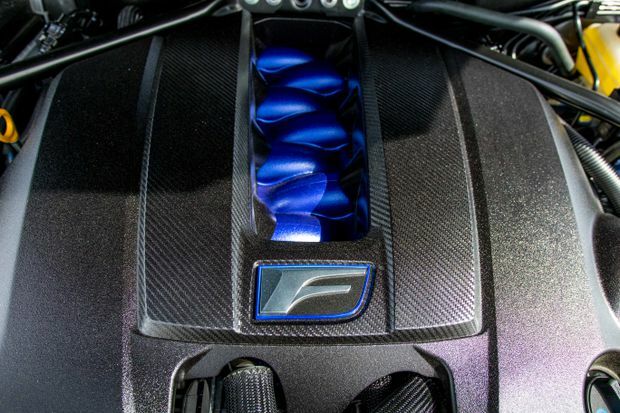 With all four corners unweighted, the RC-F’s steering is lighter and more communicative, it glides over rough sections of track more easily and reacts more quickly to transitions. The eight-speed automatic offers quicker shifting than in previous years. 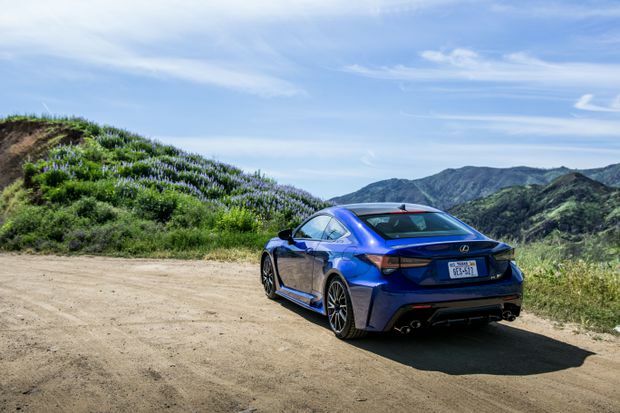 Like the standard RC-F, the Track Edition offers selectable driving modes, and while traction control can be mostly turned off, there’s still an electronic safety net if you make a really big mistake. Yet you need not be a racing surgeon to extract the Track Edition’s potential. The V-8 provides smooth power at corner exit, with no need to manage the surge in torque you get from a turbocharged engine. The brakes are faithful and unflappable. The overall balance is neutral and friendly. Throttle-steering the car through a tight left-hander is really good fun. The experience is accessible but still rewards consistent, tidy driving behaviour. It’s the type of car in which a student will grow to become a better driver. It will not be possible to explain why this car is such a well-sorted driving machine to your accountant. Nor will you be able to make much headway arguing your case to anyone wearing a BMW or Tesla-branded hat. But if the numbers don't make sense, they do add up. The RC-F Track Edition is not some stripped-out purist's special, but a sharper variant of an already surprisingly good car. That makes it special. You’re looking for an all-rounder that combines true track ability with impeccable build quality. The Track Edition is powered by a 5.0-litre V-8. Part of the Track Edition's bold styling is this fixed rear wing, which also adds 26 kg of downforce. More suited to midnight in Tokyo than the parking lot at the office, the Track Edition is certifiably crazy-looking. At least it’s all functional: the quad-exhaust tips are lightweight titanium, the fixed rear wing provides 26 kg of downforce, and all those vents and intakes actually channel air. The interior of the Track Edition is little changed from the standard RC-F.
On the inside, there are few differences between the standard RC-F and the Track Edition. The latter loses the cooled seats and has a manually adjustable steering wheel. Both insides are a little dated when compared to more modern Lexus products like the LC 500. Lexus’s touchpad and screen technology feels a little behind the times on first introduction but is perfectly functional. A new carbon-fibre brace cuts down on the Track Edition’s pass-through space, but trunk space remains useful at 287 litres. An often overlooked entrant in the competitive sport sedan segment, this new sharp-edged variant of the RC-F proves that tuning is about more than just posting up big numbers.